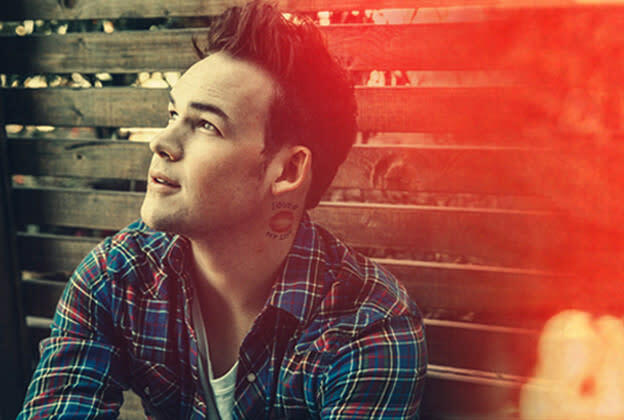 "American Idol" rocker James Durbin is back with an anthemic new single, "Parachute," and we have a feeling you'll love its new lyric video to bits. Or, more specifically, to 8-bits. Celebrating James's love of all things '80s, the "Parachute" lyric vid is a loving and very faithful homage to retro arcade games like Donkey Kong, Super Mario Brothers, Space Invaders, and the old-school Nintendo Entertainment System. And it's just as addictive to play. Check out the premiere of James Durbin's "Parachute" lyric video here, and get ready for James's sophomore album, Celebrate, out April 8. Game on.